Lawsuit alleges VW concealed knowledge that numerous models have defective panoramic sunroofs. April 29, 2018 — A proposed class-action lawsuit that claims a Volkswagen sunroof shattered because of defects has been dismissed by a federal judge in New Jersey. Plaintiff Jonathan David says he purchased a new 2014 Volkswagen Touareg equipped with a panoramic sunroof with a movable front panel and fixed back panel. 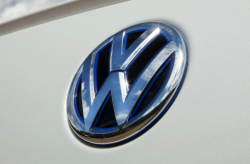 The plaintiff claims that before he bought the vehicle, he did extensive research by reading magazine reviews, speaking with owners and questioning VW service technicians. In addition, Mr. David says the panoramic sunroof was a "huge selling point" in his decision to purchase the Touareg. According to the lawsuit, Mr. David was driving on January 7, 2016, when he heard a sound he thought was a tire blowout or a gunshot, causing him to swerve and allegedly almost hit the highway barrier. 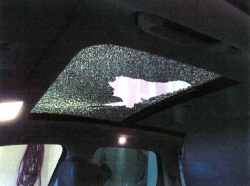 Finding himself covered in glass, the plaintiff says he saw a hole in the sunroof (pictured above right) and reduced his speed to drive back to his home. Once back at home, the plaintiff says he noticed the sunroof glass had blown upwards with some pieces of glass caught in the rear section of the panoramic sunroof. Other pieces of glass had fallen into the back seat, front seats and onto the center console. VW roadside support towed the vehicle to a dealer where the plaintiff was informed the replacement sunroof would cost about $1,400, a cost the automaker wouldn't cover. Mr. David says he called Volkswagen and was told the decision by the dealer was final. The plaintiff says he paid an insurance deductible of $500 and his insurance company paid the remaining amount to replace the sunroof. According to the plaintiff, VW should have told him the sunroof could shatter because he wouldn't have paid what he did for the Touareg if Volkswagen wouldn't have concealed the alleged defect. The lawsuit references complaints made about shattered sunroofs in VW vehicles and also references problems other automakers have allegedly experienced with sunroofs that exploded. The plaintiff also references a 2014 recall of VW Beetle cars to replace sunroofs, although the recall was related to sunroofs that could break when the cars hit potholes or other rough surfaces. 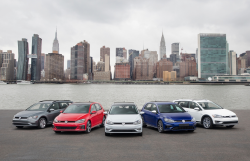 VW filed a motion to dismiss the entire lawsuit and the judge agreed to toss the suit by finding every claim made by the defendant couldn't be supported in court. The judge ruled the new vehicle limited warranty covers only a manufacturers defect in material or workmanship, but the lawsuit focuses entirely on how the sunroof was designed, not how it was manufactured. Concerning the serious allegation that VW fraudulently concealed information about the alleged sunroof defect, the court found the lawsuit doesn't say "what acts of concealment were taken, by whom, regarding which facts, and what, if any, information was directly withheld from Plaintiff." The judge determined the lawsuit contains only vague generalized allegations that some type of information was withheld at some point by someone, and weak allegations such as that aren't good enough in court. 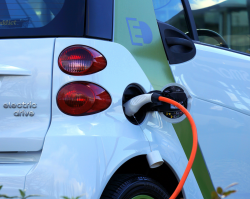 According to the lawsuit, the plaintiff purchased his car in February 2014 but did not file the lawsuit until November 2017, leaving his claim time-barred because the statute of limitations for a breach of express warranty claim is three years. The lawsuit was also dismissed because the plaintiff claims he discovered the sunroof problems in January 2016, giving him a year to file a lawsuit before the three-year period expired. In addition, the plaintiff never claims Volkswagen concealed facts that prevented him from filing the lawsuit before he did. 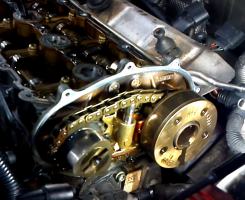 As for the claim that VW violated the Magnuson-Moss Warranty Act, the judge dismissed that claim because to state a claim, the plaintiff must first adequately plead a claim for breach of express warranty. This isn't possible because the judge dismissed the express warranty claim. The Volkswagen shattered sunroof lawsuit was filed in the U.S. District Court for the District of New Jersey - Jonathan David, et al., vs. Volkswagen Group of America, Inc., et al. The plaintiff is represented by Simmons Hanly Conroy LLC, and Greg Coleman Law. CarComplaints.com has owner-reported complaints about Volkswagen vehicles.